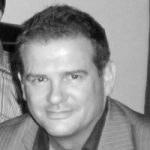 Paul is a successful, energetic and strategic Global Sales & Account Manager with over 25 years’ experience in sales, business development, account management, and client facing roles, generally to global Top 500 companies across a wide range of industry sectors, in advanced planning software, SaaS and enterprise applications. Paul is now responsible for sales and business development at QAD Dynasys for UK and Northern Europe. Is your Company’s crystal ball letting you down?